Under the Oak Tree: Houses for rent! I was able to navigate through the mud and muck to install a wood duck house overlooking one of the many ponds on Arington Tree Farm. Ideally these houses would have been installed a few weeks ago but getting into the field has been a challenge with the wet conditions. In the middle of the drought of 2012 the pond shown above was bone dry. However, after the heavy winter snow and the wet spring rains, this is a much different landscape than seven or eight months ago. 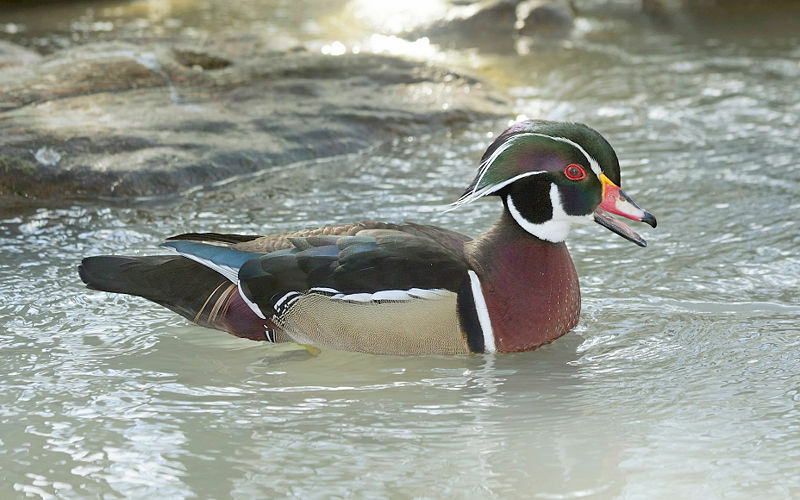 We've seen a good number of wood ducks around the farm and are excited to offer them a place to nest. Wood ducks prefer to nest in tree cavities; as a result, only about 20% of the eggs successfully hatch before raccoons and other predators get to them. 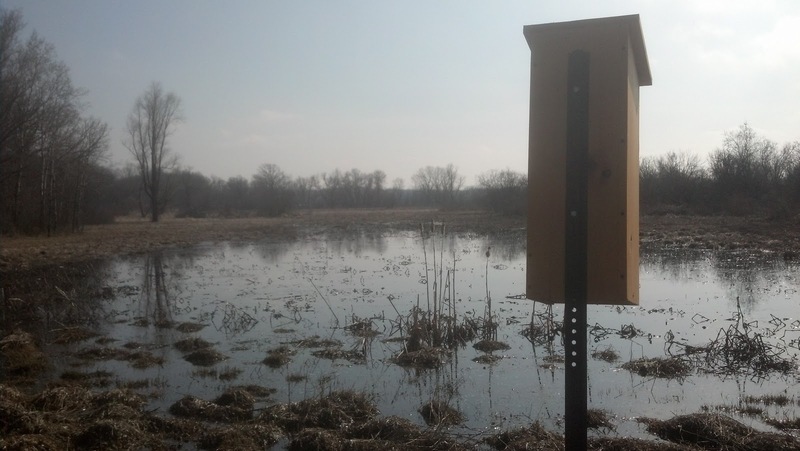 The wooden boxes offer the ducks a safe place to lay their eggs and hatch their young. The boxes do best near water and up off the ground, 3-15 feet. We got our wood duck houses from Ron Martin of Midwest Prairies. He offers a competitive price for a solid, well-built box. I will be putting nine more wood duck house up throughout the farm. Check back in as I will post pictures of any "renters" we have!